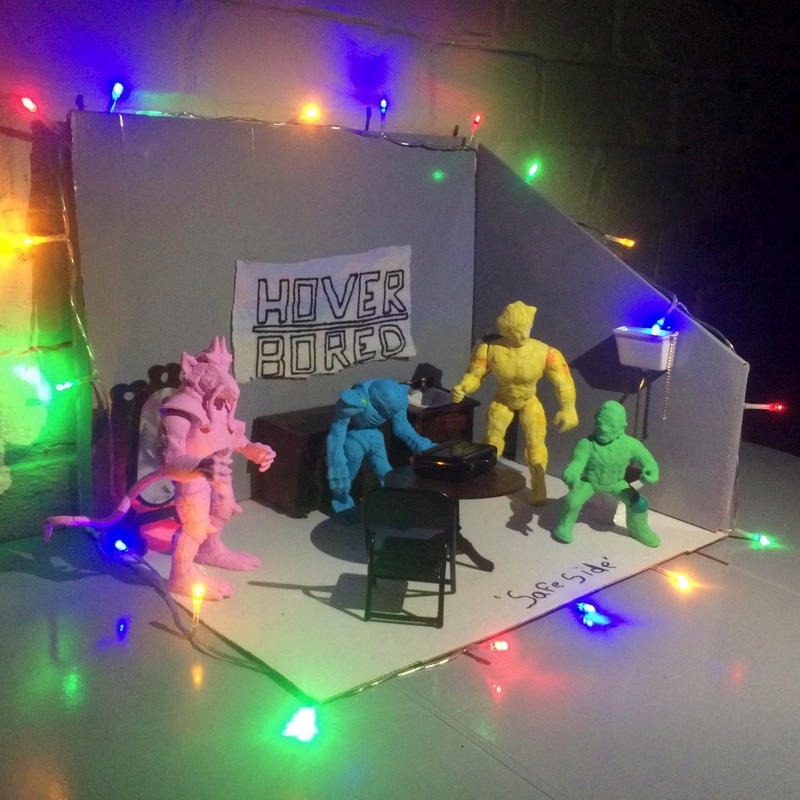 Formed in Wakefield, but now based in Manchester, Hover Bored are a quartet with a flair for fuzzy concoctions of grunge and scuzzy power-pop. They play fast, energetic and loud, something abundantly clear upon hearing their scorching new single ‘Safe Side’. Musically, it’s a whirlwind of crunchy guitars, searing riffs, rolling bass, crashing drums and bratty vocals. These coalesce amid a sea of fuzz into a fiercely infectious two-minutes plus some. Calling to mind the likes of Dinosaur Pile-Up, Fidlar, Honey Lung and King Nun, they deliver a meaty, undeniably infectious cut of grungey wizardry. This is a foursome who do a rather redoubtable trade in the seriously potent scuzzy grungey/power-pop stakes.